Select a power adaptor if you do not have a 12V DC power adaptor or power supply already. Select cabling for your camera. This camera only has a small 4 inch pigtail on it, which has a BNC video out and a 12V DC jack. You have chosen bulk cabling which is on a roll. 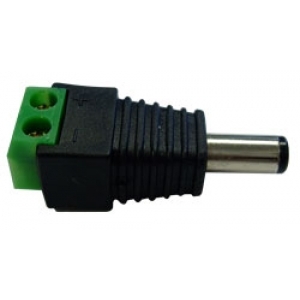 You will need BNC video connectors and male power plug to terminate your cable for connection to a camera. 1080P Motorized Zoom Security Camera that produces real time 30fps video without any choppiness. This camera has a motorized zoom lens that can be controlled with the touch of a button from any of our HDCVI DVRs or their remote app. The high definition security video produced by this camera will simply amaze. The motorized lens comes in handy when you need to change the angle of view, and you don't need to climb up on a ladder to mess around with adjustment knobs. The camera is IP66 rated, meaning it is weather proof and suitable for use outdoors. You don't have to worry about mounting it underneath an eaves; it is rugged enough to be mounted anywhere. The 2.8-12mm lens provides greater than 90 degree angle of view when set at 2.8mm, and a 25 degree view at 12mm. It has 42IR LEDs that help the camera see up to 130ft in darkness. If your are looking for HD security cameras for your system, this is certainly a model that should be on your list of products to consider. Can you adjust the zoom and focus on the app on my phone? Yes, you can adjust the zoom and focus using the PTZ zoom function on the app. What besides the RG-59 and the 12vdc is required to operate the motorized zoom from a cabling standpoint? The HDCVI cameras with motorized zoom lens work with a HDCVI DVR. The HDCVI DVR can send lens control commands over the RG59 (i.e. video and lens control over the same coax cable). Please note this camera is a HDCVI camera and requires a HDCVI DVR for deciphering the 1080P video signal and to control the motorized lens. This is not an analog camera like the Lorex you mentioned. What do I need to set my DVR setting to such as protocol, baud rate, data bits and also the stop bits for the zoom to work. This camera is a motorized zoom camera that can be controlled to zoom in/out from the DVR, computer, or mobile app; it does not pan or tilt. HDCVI technology sends video and data over the coax wire without needing additional wiring and configuration for RS485. There is no RS485 configuration needed for the zoom lens to be controlled as the signal auto-negotiates using the HDCVI protocol. You can read more about what is hdcvi? here. 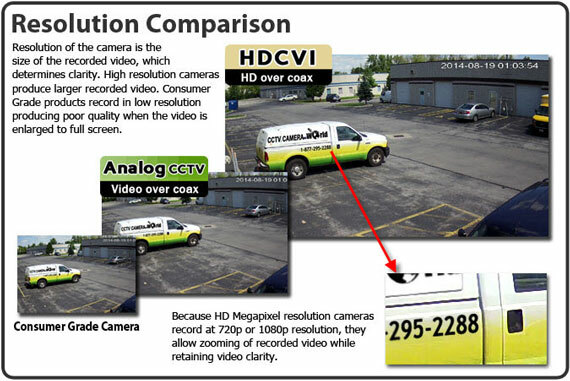 If you are interested in using a PTZ Camera that is HDCVI compatible, we suggest you read the following article that discusses how to connect a HDCVI PTZ camera to your HDCVI DVR. You will need a HDCVI DVR or XVR whether you are using a HDCVI motorized zoom bullet camera or a HDCVI PTZ camera. I have a Bunker Hill Security 8 channel surveillance DVR from system from Harbor Freight. Will this camera motorized zoom camera work with my system? And specifically, will the zoom work? If not and you sell a zoom camera that will work with my system, please send a link or info. Thanks. You need a HDCVI DVR or a Tribrid DVR that supports CVI signals for video. 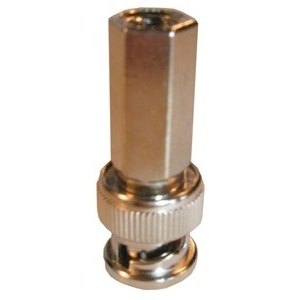 CVI signals send video and lens control over coax. It would not work with a Bunker Hill system unless it supports CVI signals.